CANNABIDIOL (CBD) is found in cannabis and hemp. CBD has been reported to have significant medical effects. CBD has similar beneficial properties to Medical Marijuana. CBD does not get you "high" like medical marijuana's THC. CBD is 100% legal in all 50 states without a prescription. All Natural CBD-Rich Hemp Oil - it's the Good Stuff! LEARN MORE: CBD Book "CBD-Rich Hemp Oil: Cannabis Medicine is Back"
LEARN MORE: CBD Dosage Suggestions - How Much CBD shoud I take? What's the CBD BUZZ about? CBD works naturally with your own Endocannabinoid System (ECS). You have a vascular system, digestive system, immune system - did you know you also have an endo-cannabinoid system? It's the great regulator of many physiological systems - even your immune system and metabolism. Your ECS has receptors for cannabinoids that you may or may not be making in sufficient quantity. 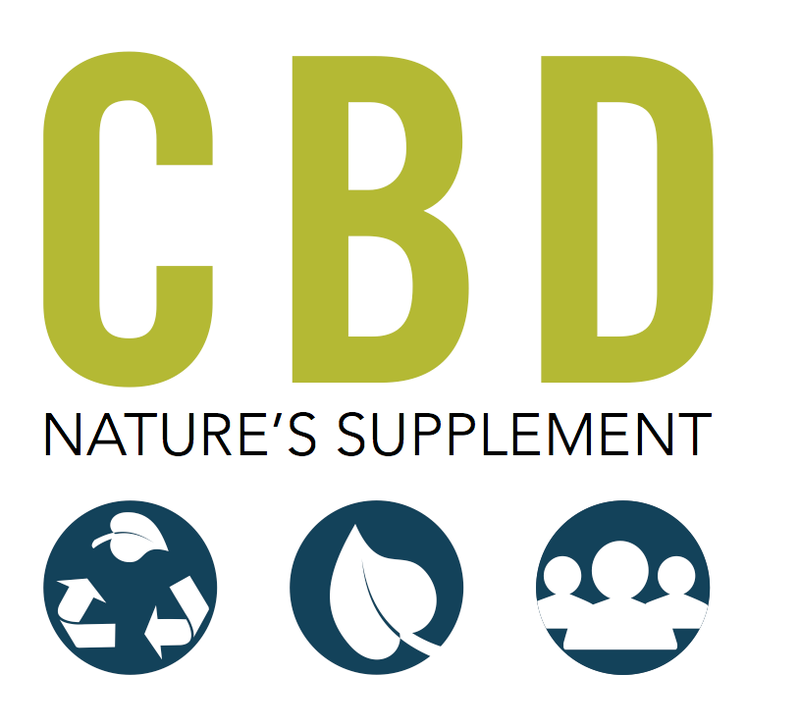 CBD supplementation seems to give your own body's endocannabinoid system a power boost – potentially enhancing immune function and many bodily systems. Why haven't I heard of CBD before? Late in 2009, shortly after the US Justice Department released the "Ogen memo" hinting at a more permissive medical marijuana federal policy, a few strains of CBD-rich cannabis were discovered. Despite the huge potential market for less psychoactive and non-psychoactive cannabis, the introduction of CBD-rich oils was slow, as many medical marijuana dispensaries' customers were typically seeking THC-dominant marijuana that provides euphoria and relaxation (psychoactive properies). The general public, including most medical marijuana users, hadn't yet heard about CBD, and growers didn't want to devote garden space to plants for which there was no established market. In mid-February 2014, President Obama signed a bill (the Farm Bill) finally allowing hemp and hemp products (CBD) to be used, and not classified as a drug. CBD knowledge is rapidly spreading and CBD products are coming to market. CBD-rich products are available in many forms: paste, oils, tinctures, extracts, vapes, capsules, salves and beauty products. Products come in varying concentrations from very low to very high for various situations. I am an advocate of only CBD oils taken sublinguilly (under the tongue) via drops or paste. Vapes contain polypropylene glycol, which has NO health value and I don't believe anyone should be breathing THAT vapor in. Capsules go through the digestive system so you don't get the full dose you think you're taking, making CBD capsules much more expensive than CBD needs to be. I've experimented with salves and tinctures used topically and found them useless for my joint issues. The greasy oil does not readily absorb into the skin, even when mixed with other oils. As with any "new" product coming to market, there is much marketing hype to wade through. Learn all you can. Click to email me with questions and/or comments. "CBD-Rich Hemp Oil: Cannabis Medicine is Back"
Holistic Health, Alternative Health, Herbal Medicine, Psychopharmacology, etc. CBD Book "CBD-Rich Hemp Oil: Cannabis Medicine is Back"
Corinne Malanca credits CBD oil with saving her father's life. Six years ago, Stan Rutner underwent chemotherapy for Stage 4 lung cancer. What she found was a startling statistic: Nearly half of all cancer patients' deaths are caused by malnutrition. She purchased cannabis and coconut oil capsules and 24 hours after his first dose, Rutner was out of bed and eating like a teenager. Six months later she added a daily drop of cannabidiol (CBD) oil to his regimen, and at nine months he was cancer free. "We just wanted him to pass peacefully," she says. "We were fortunate that he got a second chance." There was so much information - and misinformation online that Malanca and her husband, John, decided to create United Patients Group, a resource for patients and physicians seeking knowledge about medical cannabis. Alternative Health Practitioners and Chiropractors are accustomed to dealing with the claims and skepticism surrounding nutritional supplements. But CBD oil adds a new layer to the issue: The high-cost, controversial product is caught somewhere between a supplement, a medicine, and a proscribed narcotic. State and federal laws regarding its legal status are contradictory, industry regulations don't exist, research is scant, and dosing is arbitrary. But all of this shouldn't necessarily cause providers to give up on the product. Most people agree that CBD oil is relatively safe. And there are promising stories like Malanca's, showing potential where traditional medicine fails in areas such as chronic pain, impeding cancer proliferation, and seizure abatement. The body's endocannabinoid system, discovered in the early 1990s, modulates various functions in the body. Cells in the system that house receptors, including CB1 and CB2, are "activated" by chemicals known as cannabinoids. There are more than 80 different cannabinoids in the Cannabis family of plants (marijuana and hemp). The two most well-known of these chemicals are CBD and tetrahydrocannabinol (THC). THC impacts the CB1 receptor. Found mainly in the brain, it results in the euphoria (high) received when smoking marijuana, particularly those strains bred to contain large amounts of THC. Hemp has much lower amounts of THC, and it is increasingly being bred to have more CBD. This is partially due to the definition of hemp in the Agricultural Act of 2014; "industrial hemp" is supposed to be comprised of a THC content of 0.3 percent or less, making it legal for use by universities for research purposes. Rodney Radtke MD, chief of the epilepsy and sleep department at Duke Medical Center, says, "Everybody is talking about medical marijuana … even well-controlled patients [with seizures] are asking about it." Radtke says medical cannabis seems safe and initial studies regarding efficacy are positive. In fact, Nora D. Volkow, director of the National Institute on Drug Abuse, in testimony to the Senate Caucus on International Narcotics Control said a review of 25 studies didn't find any major side effects with a wide range of doses of CBD. NOTE from TINA RAPPAPORT (www.HEMPoil4u.com): CBD from Industrial Hemp is not referred to as "Medical Marijuana". CBD from marijuana is still highly illegal in many states, even if the THC is below 0.3%. CBD from Industrial Hemp is allowed to be sold throughout the US. And while Radtke doesn't deter patients from using the substance, he also doesn't recommend it because it isn't fully understood. "The perception is that doctors are against medical marijuana, but that's not so," he says. "What we want is for it to be investigated and shown to be efficacious and safe … we want a medication, not an herbal remedy." The goal with most medications is to get as much of the active ingredient into the bloodstream as quickly as possible. According to makers of the product, CBD-rich hemp oil does this well for a couple of reasons. Unlike smoking marijuana, a process in which the whole plant is consumed, taking CBD allows for greater levels of the potent chemicals to be delivered in a smaller dose, which oil producers work to isolate and extract. Also, compared to smoking cannabis, patients receive a higher amount of active chemicals passing through the bloodstream from CBD-rich hemp oil taken sublingually (under the tongue). Patients begin to feel a difference in as little as four to six minutes and the full effect in less than 15 minutes. Moving cannabis (meaning marijuana) from its illegal status as a Schedule I drug (the same listing as heroine and LSD) to a Schedule II drug (such as oxycodone) is left to the U.S. Food and Drug Administration. But this listing was affirmed September 2016 when the federal government released a statement saying marijuana has no accepted medical use and is vulnerable to abuse. Most producers, however, claim their products (CBD-rich hemp oil products) are legal, largely because of a 2004 court ruling from the Ninth Circuit Court of Appeals. The court found the DEA could not ban organizations from selling food products made from hemp oil imported from outside of the country. Many sellers of CBD oil only use imported hemp and provide certificates proving its origin. This is still a confusing topic.. But Barbara Carreno, a spokesperson for the DEA, said this ruling doesn't provide a loophole for these vendors. CBD oil is currently sold in violation of the Controlled Substances Act and the Federal Food, Drug, and Cosmetic Act, according to a DEA statement on the product. The DEA, however, doesn't concentrate resources on the use of hemp and medical marijuana, as long as it conforms to state laws, according to Carreno. Instead, it focuses on marijuana being grown on federal lands, being sold near schools, or moved across state lines. "The DEA has always focused on large-scale drug trafficking," she says. "We don't focus on users or caregivers." Much of the enforcement efforts are left to state agencies, which is why the industry is proliferating. According to the National Conference of State Legislatures, at least 25 states have some sort of provisions for medical marijuana use, many focusing on hemp, the low-THC, high-CBD products that fall under the DEA's 0.3 percent rule. CBD oil's legal status makes it a difficult product to research. But, as an increasing number of states opt to legalize medical and recreational use, funds have begun to flow. According to the National Institutes of Health, 281 research projects—accounting for $111 million—were focused on cannabinoids in 2015. $15 million was related to CBD. Radtke says it's CBD that helps control seizures; THC doesn't. But THC, he says, does impact nausea and pain, and an equal combination of the two reduces spasticity. Malanca has also known identical twins with Crohn's disease who had different experiences with medical cannabis: One used a 50/50 combination, but for the other, a product with 25 percent CBD worked well. We know CBD (cannabidiol from Industrial Hemp) is effective in killing cancer cells. The primary job of CBD in the cancer cell is to disrupt the endoplasmic reticulum (lacy membrane in cells) through wrecking of the calcium metabolism, pushing calcium into the cytosol (liquid in cells). This always results in cell death. Another pathway for CBD to effect cancer cell death is the "Caspase Cascade", which breaks down proteins and peptides in the cell. When this happens the cell cannot survive. These processes are specific to cancer cells - no normal cells are affected. Alternative Health Practitioners who want to sell or recommend CBD oil should be able to help patients wade through the plethora of information on the internet. There is no prescription to write for CBD oil. Producers and sellers are reticent to make claims about efficacy for fear of legal repercussions. The second consideration is drug-drug interactions. Alternative Health Practitioners should go over medications and other supplements patients are taking to watch for potential problems. For instance, Radtke says, CBD is known to reduce levels of Lamotrigine and enhance the effects of Clobazam, potentially making it toxic. There is so much interest in CBD, that it speaks for itself. CBD has worked wonders for patients in pain who have tried different drugs that haven't worked or who don't want to get addicted to narcotics. I myself use 15-30 CBD mgs/day to help manage my life-long genetic joint condition (Ehler's-Danlos, Hypermobility Type) that causes minor joint dislocations (head to toe) that result in localized pain and inflammation. Read MY STORY for more info. Disclaimer – CBD does not cure. It may provide relief from many ailments on a patient by patient basis. treat or cure any disease. Always check with your physician before starting any new supplement program.